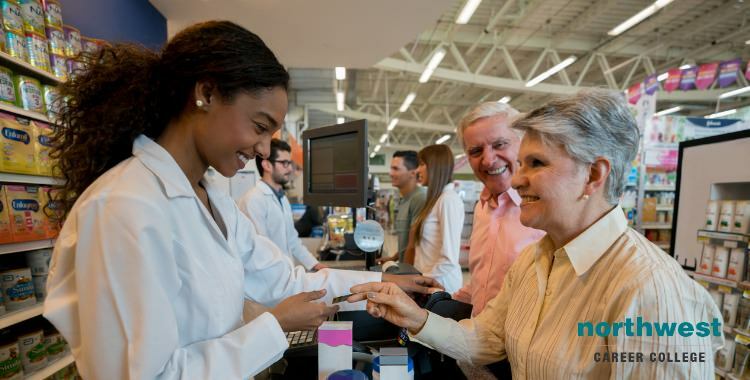 The pharmacist and the pharmacy technician are vital parts of the any pharmacy, working hand-in-hand to deliver an invaluable service, whether that be in a large hospital or in a retail setting. Given the close working nature, and similar titles and responsibilities, of the pharmacist and pharmacy technician, it can be difficult to understand what separates them. If you are considering training as a pharmacy technician, but are not quite clear on how that differs from a pharmacist, we’ve put together this easy guide to what makes those two careers different. One of the primary differences between a pharmacist and a pharmacy technician is the length of time needed in education before you can qualify as one. Depending on the state, a pharmacy technician might be able to start work with no prior training or education in the area. Some states require a pharmacy technician to be qualified by passing a standardized test knows as the Pharmacy Technician Certification Exam (PTCE), administered by the Pharmacy Technician Certification Board (PTCB). By comparison, a Pharmacist is required to how a PharmD degree, or doctorate of pharmacy. This six year degree course consists of four years of college education followed by two years of pre-pharmacy education. Before qualifying, a pharmacist must also spend one year in an internship, being supervised by another licensed pharmacist. A pharmacist must also be licensed to practice pharmacology by passing the NAPLEX (North American Pharmacist Licensure Examination) and registering with the State Board of Pharmacy. In the context of the pharmacy, the pharmacist holds position of responsibility similar to a dentist or doctor in their respective practices. Administering incorrect medication can have serious consequences and the pharmacist is responsible for double-checking each and every prescription before it can be sold to the patient. They also responsible for ensuring that all state and federal regulation are upheld and all the required records are kept up to date. The pharmacy technician works closely with the pharmacist, and at times performs similar duties, but normally cannot complete those duties without oversight from the pharmacist. For example, a pharmacy technician can prepare a prescription, but cannot sell it to the customer without sign off from a pharmacist. Pharmacy technicians also often perform retail and administrative roles. Both the pharmacy technician and the pharmacist are essential roles in any pharmacy. Their careers are considerably different in terms of their educational requirements and their responsibilities, but they are both rewarding positions with a focus on helping others. Northwest Career College is one of the premier pharmacy technician schools in Las Vegas, and our course provides our students with the skills and training they need to take advantage of the growing need for pharmacy technicians. Our experienced instructors offer online and on-campus classes to accommodate your Las Vegas work and family schedule. Once you’ve graduated, we continue to support you and the commitment of our Career Services Team has led to us having a 100% job placement rate for our pharmacy technician graduates. Call us today at (702) 403-1592 to speak to one of our enrollment specialists.